First his hand is broken. Then it's just bruised. 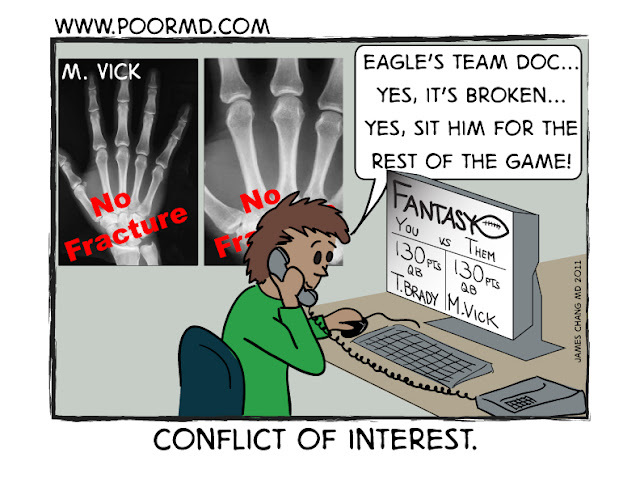 Come on Eagles, you spend $100 million on quarterback but you can't afford a decent radiologist? If you need someone to read your films, I'd be more than willing to give up my fantasy football stakes to do a little moonlighting for you guys.